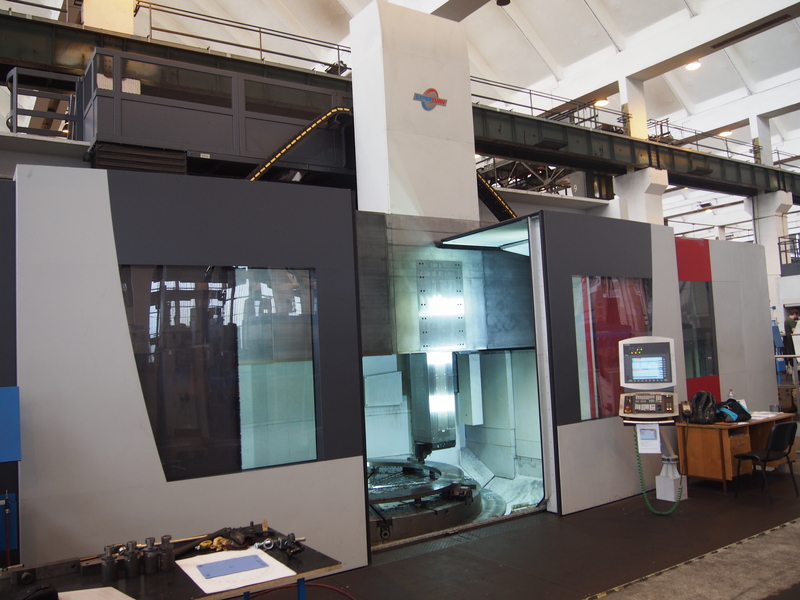 The FORCETURN vertical turning and boring lathe is designed for use in very large machining and flexible production. The FORCETURN is the largest, super heavy duty performance VTL TOSHULIN builds. The FORCETURN turning table incorporates a hydrostatic bearing for very heavy work piece weight carrying up to 220,000 lbs. (100,000 kg). 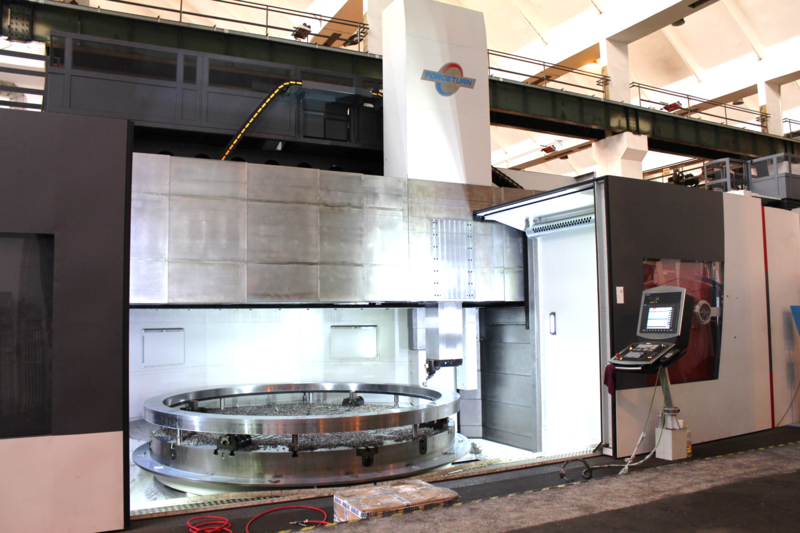 Along with the use of very large hydrostatic box ways and its double column, symmetrical head and large cross section ram design keeps it best in class for very large and heavy turning requirements. 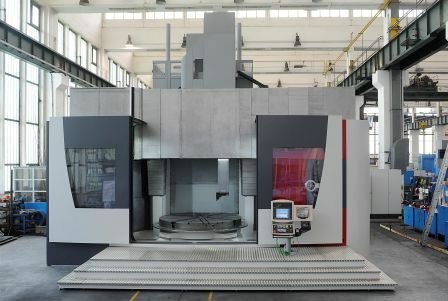 The FORCETURN can also be equipped with a live milling and drilling spindle to further broaden its capabilities and if you add the “C plus C = Y” axis head it is the closest to one and done machine for large part turning and milling available.